If you're looking for a gentle way to brighten up your smile, coconut oil is the way to go. Unlike strips and other harsh whitening products, the natural oil offers natural benefits that won’t increase sensitivity. Plus, it aids in the removal of plaque and improves gum health, which in return make enamel appear whiter. Here are three easy ways to add coconut oil to your oral hygiene for a radiant camera-ready smile. 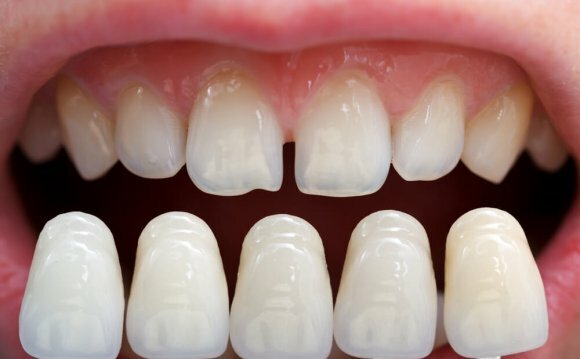 Whiten those tight crevices between each tooth by adding the oil to your floss. Floss coated with coconut oil can tackle the surfaces that whitening toothpaste and strips can miss. Simply apply a dab between your pointer finger and thumb, then smooth over a few inches of the floss before working the thread into the hard-to-reach areas. Before brushing with your usual toothpaste, create a naturally whitening formula with a few drops of coconut oil and a little baking soda. The anti-fungal properties of the soda are an excellent pairing with the oil to fight buildup and reveal a brighter smile. Rinsing with coconut oil is one of the safest ways to make your pearly whites shine. As soon as you wake up in the morning take a tablespoon of oil and swish it around your mouth for 15 minutes. At first this may seem like a long time, but being patient definitely will pay off. Thrusting the oil between each tooth will not only result in a brighter smile, it's also a great detox that improves total oral health.